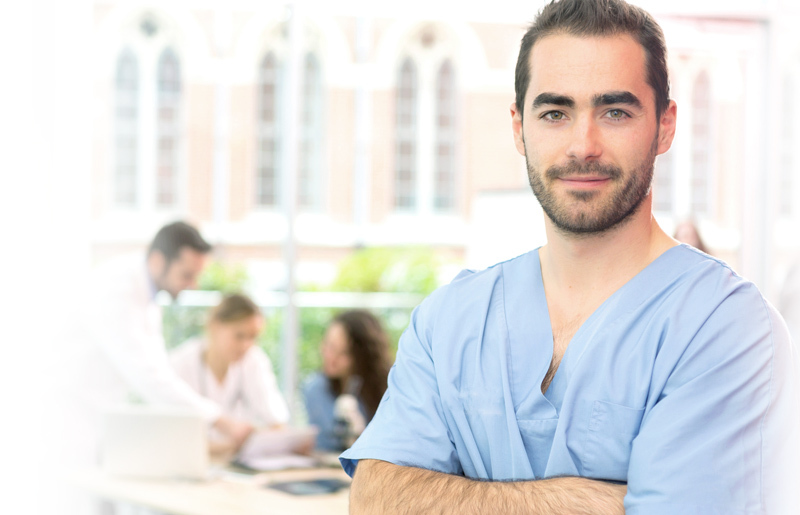 Are you applying for a nursing, midwifery, or a related position in the UK? Find out more about these universities and the tests they require, and prepare for them with JobTestPrep's practice packages. In order to place into a nursing course, you must have a decent level of numeracy and literacy (defined as a grade C or above a GCSE level). However, universities may ask you to take a nursing English or maths test to verify your skills, usually at a selection day event. Take a look at some of these courses below, and follow the links to our specially created nursing numeracy and literacy test practice pack. Shortlisted applicants to nursing at Coventry University can expect a selection event, including a nursing numeracy and literacy test. The Coventry University nursing numeracy test is a mental arithmetic test with questions focussing on the four basic functions. Questions may be straight maths, or they may be word problems based on nursing situations. What is 37 + 75? A patient weighs 84kg and has been told to lose 12% of her body weight. How much weight does she need to lose? The Coventry University nursing English or literacy test asks you to write a short piece on why you want to be a nurse. The key point when completing this test is to make sure that your writing is clear and that you can present your points concisely. Spelling, grammar, and legible handwriting are also important on this test. Applicants to nursing and midwifery courses at Leeds University will need to pass a numeracy exam at a selection event. The topics covered on the test include addition, subtraction, multiplication, division, decimals, fractions, and percentages. You are also asked to make basic drugs calculations on this test, and some questions may ask you to convert weights and volumes between metric and imperial systems. You may not use a calculator on this test, meaning that you must be able to work out answers in your head or on a piece of paper. If you are invited to a nursing selection event, expect a literacy test, a numeracy test, and eventually an interview. You must successfully pass the tests in order to be invited for the interview. The literacy test is 20 minutes long. It looks at your skills when working with written English, particularly how well you can read, understand, and apply the information in a piece of text. This test is based on a nursing-related text, for which you must answer questions. The numeracy test consists of 15 questions that must be answered in 20 minutes. These questions look at how well you can use maths in a work context. You must be able to work with and understand the four basic functions, fractions, decimals, percentages, ratios, and other general maths topics. You may use a calculator on the test, and you will be provoided with one on test day. You earn £370 a week and are given a 6% pay increase. Your colleague Steph earns £400 a week but is given just 3% more a month. Who will get more money added to their weekly pay? Shortlisted applicants to UWE for all nursing courses are invited to a selection event as part of the admissions process. At the selection day you can expect to take a nursing literacy test and a nursing numeracy test, as well as participate in a group activity and interview. You must pass these tests to be offered a place on the course. To pass the numeracy test, you must know how to calculate the basic functions, decimals, fractions, percentages, and ratios, as well as BMI and other medical formulae. All shortlisted nursing applicants for Salford University are invited to a selection day involving numeracy and literacy tests and an interview. The Salford nursing literacy test contains a passage of text and four questions to answer based on what you have read, all in 20 minutes. The text will be relevant to the degree course you are applying to. The Salford nursing numeracy test contains 30 questions to answer in 20 minutes. Questions are also loosely based on the types of calculations you may need to make during your job on a daily basis. You are asked to perform addition, subtraction, multiplication, division, drug calculations, percentages, ratios, and more. If your application for nursing, midwifery, and operating department degrees is taken forward, you are next invited to an interview day with several exercises, including a numeracy test, a literacy test, a group discussion, and an interview. You must pass the numeracy and literacy tests in order to take part in the group discussion and interview. 23.18 + 0.41 + 5.8 = ? Nurse Turner administers baby Amelia’s medicine, using a dropper, eight times a day. If the tube of the dropper is filled each time with 3.7 millilitres of medicine, how many millimetres in total does baby Amelia take daily? On the literacy test you are given a passage of text related to nursing or the NHS Constitution. You are asked to comment on or answer questions based on what you have read. This test serves a number of purposes: it shows that you can understand written texts and use the provided information to make a point, that you can write an answer with clear sentences and paragraphs, that your handwriting is readable, and that you have used the correct spelling and grammar. London South Bank University has two testing stages in its recruitment process for nursing, midwifery, and radiography applicants: a situational judgement test taken online straight after your application and a numeracy and literacy test at a testing centre. You must pass the numeracy test in order to be given the chance to take the literacy test. Each test will take 30 minutes. The situational judgement exam is a multiple choice test in which you are asked to choose the best response to a nursing situation from a list of options. The aim of this test is to determine whether you have the right abilities, attitudes, and personality traits for nursing, as well as to check your knowledge of the correct response to work situations. On the London South Bank University nursing numeracy test, you have 30 minutes to answer 10 questions. You are not given a calculator to help you work out your answers. Instead, you can write your calculations out on paper. Questions are asked in the form of word and scenario problems, and you must be able to add, subtract, multiply, divide, understand percentages, and work out decimals and fractions in order to answer them. The London South Bank University nursing literacy test involves two separate sections. On the first section, you are given a text to read and asked five questions relating to that text. You have to score 3 out of 5 on this section to pass the test. On the second section, you are asked to write a short essay (150 - 200 words) on a topic included in the test. You are scored against a set of criteria and must receive a score of 6/12, including at least 1 point for content, in order to pass this test. You have 30 minutes to complete this test, so time is of the essence. Shortlisted applicants to nursing and midwifery courses at Greenwich are asked to take a numeracy and literacy test at a selection event. The literacy test is an essay on a related topic, with emphasis placed on spelling, grammar, sentence structure, and paragraph structure. The Greenwich University nursing numeracy test assesses your ability to perform the types of calculations you must carry out every day as a nurse. Thus, make sure you are comfortable with the basic functions, percentages, ratios, fractions, and decimals. If your application is shortlisted, the next stage is a maths and English test at the university. The test is an hour long in total. The maths section involves percentages, drug calculations, basic maths. In addition, you must have an understanding of means and averages. You can use a calculator on this test, which makes working out the answers a little bit easier. The English test is split into two parts. On the first part, you are given a text to read and a series of questions to answer based on what you have read. On the second section of the test, you are asked to choose a mini-essay topic from three options and write a few lines in response. Pay special attention to spelling, grammar, and how you compile sentences and paragraphs. Competition is stiff for nursing positions, so you must be more than adequately prepared to succeed. Start preparing today for the tests with JobTestPrep's practice packages to ensure you outperform the competition and get the nursing job you deserve.